Anti-Israel but not Anti-Jew? Its a lie. 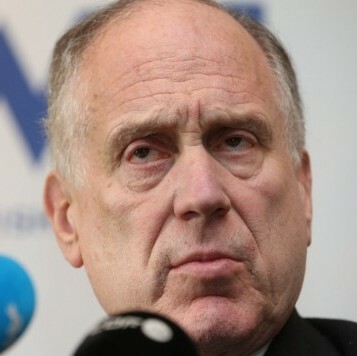 At least that’s what Ronald Lauder, President of the World Jewish Congress claims it is. The WJC President’s assertion deserves no extra attention but is rather the predictable rhetoric disseminated throughout the Zionist camp. Divorcing the Jew from Israel? The dreaded Zionist sin. If Anti-Semitism and Anti-Israel are to be perceived as one entity, how does the Zionist go about in addressing ‘his’ issue of Anti-Semitism? Theodore Herzl; founder of modern Zionism laid down the ‘vanity’ of such actions in his first diary entry. Anti-Semitism being the fuel of Zionism, wouldn’t fighting it compromise the legitimacy of the Zionist answer to the alleged Jewish question? The World Jewish Congress – a History of Deceit. The WJC, the dominant Zionist structure; in Mr. Lauder’s own words “ it is not a global economic power like Israel, but we have tremendous political clout, and we are not afraid to use it”. Well, isn’t using their ‘tremendous political clout’ solely for promotion of their goal, and still ‘not be afraid’ a mirror to the actions of the ‘global economic power of Israel’? A crisis is a Leader’s ultimate test. How did the WJC political clouting affect World Jewry during the World War epoch? Immigration is the predominant escape method during trying times, and, throughout the Nazi era proved to be the survival tactic for a beleaguered Jewry. Up until the implementation of the White Paper, the British set a yearly quota for immigration towards Palestine and handed the certificates directly to the WZO. The Zionists, wanting ‘healthy’ material to revitalize Palestine set their own criteria for the would-be immigrants. ‘ He declared that the Zionist movement would have to choose between immediate rescue of Jews and the establishment of a national project which would ensure ‘lasting’ redemption for the Jewish people. Under such circumstances, the movement, according to Weizmann, must choose the latter course’. Now, opposing the trends of the Zionists’ and its organizations deems one an Anti-Semite? Can there be a greater lie?